Matt and Jo are a couple with a long and delightful backstory worthy of its own romantic comedy. 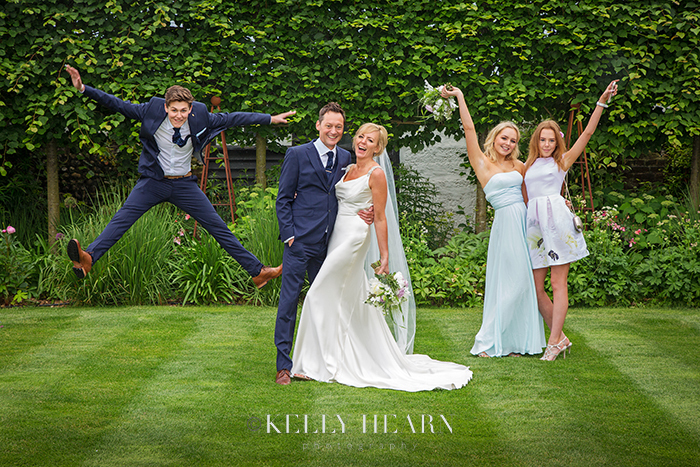 Their wedding in mid July was blessed with the heat and sunshine of a superb summer's day and was colourful, laid back and packed full to the brim with intimate and delightful moments. I arrived at Avisford Park Hotel in Arundel to meet Matt and his best man Costa. I'd like to say it was a cool, calm and collected atmosphere but the room was super hot as the temperature outside just seemed to keep going up and up. We had a good giggle and decided to pay homage to that slightly sweaty morning with this cheeky shot; Matt brandishing a can of Right Guard as his only weapon while Costa coolly adjusts his dapper bow tie. Cue a 'mint' wedding for this lovely couple of 'Herbs'! Jo and Chris brought all those held dear together to celebrate their gorgeous wedding at West Sussex' rural and rustic Southend Barns. The day was obviously an amazing time dedicated to the couple in observing their commitment to each other in marriage yet what stood out to me the most was how much it was also about family connecting together and creating some fantastic fun memories.